Imagine Rahm Emanuel as a young political operative. Then picture Jesus Garcia as a novice candidate. If it is true that a picture tells a thousand words, then the video accompanying this story is a “must read” for any Chicago political junkie. As both Rahm Emanuel and Jesus “Chuy” Garcia search for votes and try to define themselves – and each other – what many voters may not know is how each began their political journey. Though many differences separate the two, they are also connected to a great era in Chicago political history with mentors cut from the same progressive cloth. Garcia to Emanuel in Debate: "You Are Not The King"
In 1984, as Paul Simon set out to upset Charles Percy as U.S. Senator, among his press aides was a young Rahm Emanuel. One year earlier, as Harold Washington made history as the city’s first African-American mayor, Chuy Garcia was along for that ride. Washington tapped the young Latino activist and made him a Deputy Commissioner in the city’s Water Department. Two years later, in a special election, Garcia won a seat on the City Council representing the 22nd ward. He was an ally to the embattled Mayor during the tumultuous fight against Ed Vrdolyak and Ed Burke known as Council Wars. 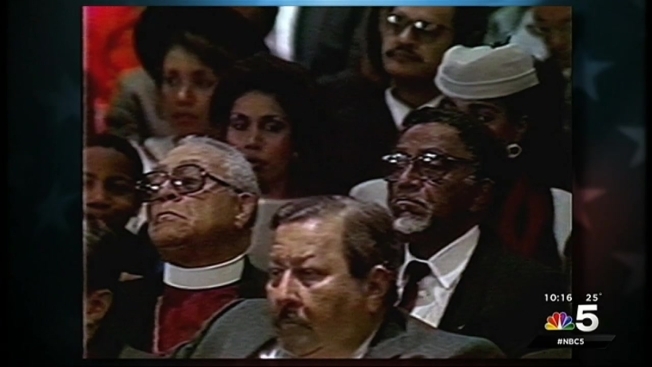 When Washington died in 1987, Garcia, who had helped break the council deadlock, was chosen to speak at the mayor’s funeral. By 1989, Rahm Emanuel was working behind the scenes to elect Richard M. Daley as mayor, as a fundraiser and senior advisor. Three years later he set his sights set on a different contest. The North Shore native headed to Little Rock, Arkansas, part of a cadre of young Chicagoans backing Bill Clinton’s White House bid. With the 1992 November election secure, the young Emanuel headed to the nation’s capital to serve as an aide to newly elected president. “Chuy” Garcia had his eyes set on a different capitol, the one in Springfield. That same year he was elected to the state senate, the first Mexican-American to serve that in that body. Four years later he was defeated for re-election by the Richard M. Daley backed Hispanic Democratic Organization, known as HDO. Garcia moved on to work as a community activist in Little Village until his election to the Cook County Board in 2010. And Emanuel moved from advisor and strategist into the role of candidate…heading to Congress in 2002 and then on to the White House as President Obama’s Chief of Staff. Now they battle on towards the April 7th election each with a similar goal and a not-so-dissimilar past.